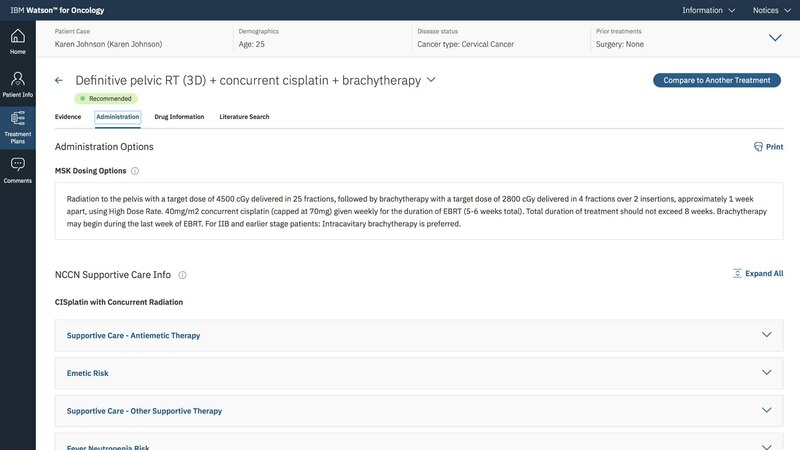 Watson for Oncology helps physicians quickly identify key information in a patient’s medical record, surface relevant evidence and explore treatment options. 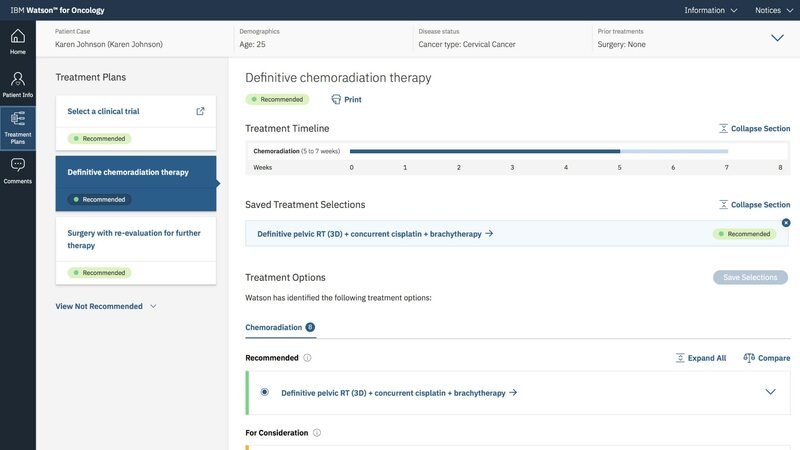 Watson for Oncology combines leading oncologists’ deep expertise in cancer care with the speed of IBM Watson to help clinicians as they consider individualized cancer treatments for their patients. 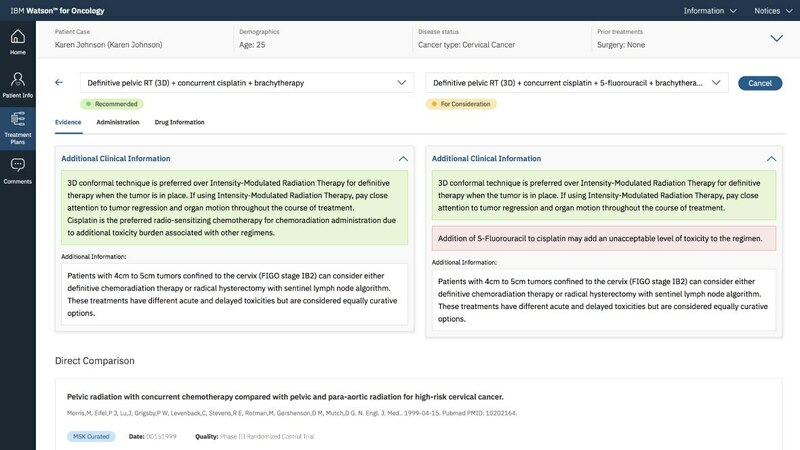 Watson for Oncology is a solution that is fueled by information from relevant guidelines, best practices, and medical journals and textbooks. 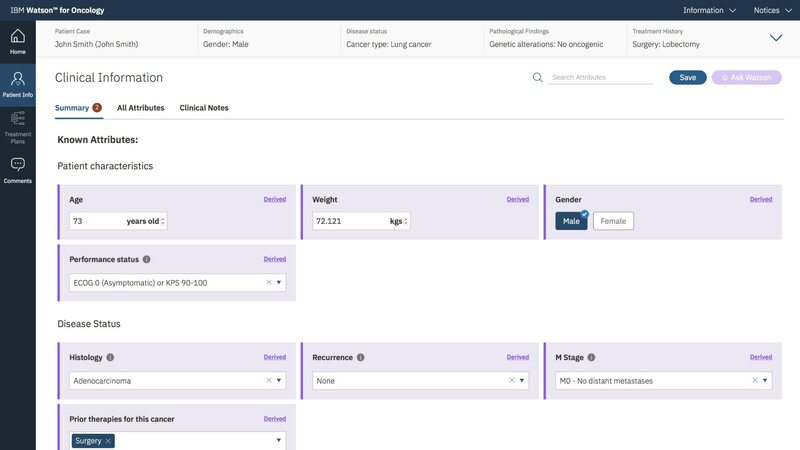 The solution assesses information from a patient’s medical record, evaluates medical evidence, and displays potential treatment options ranked by level of confidence, always providing supporting evidence. 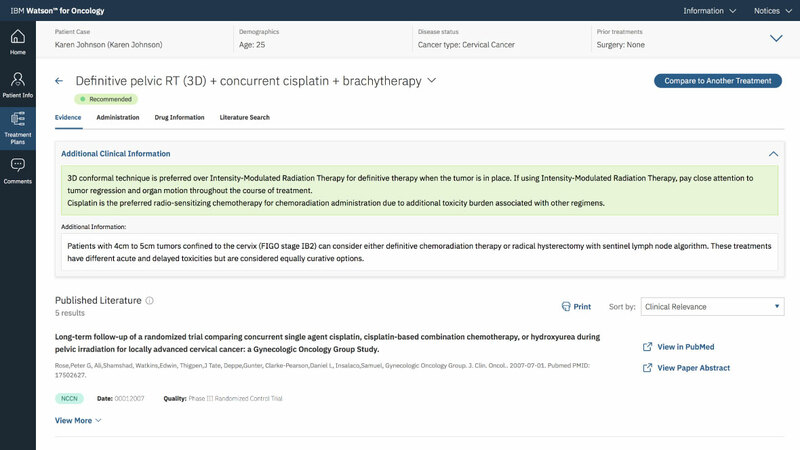 The oncologist can then apply their own expertise to identify the most appropriate treatment options. 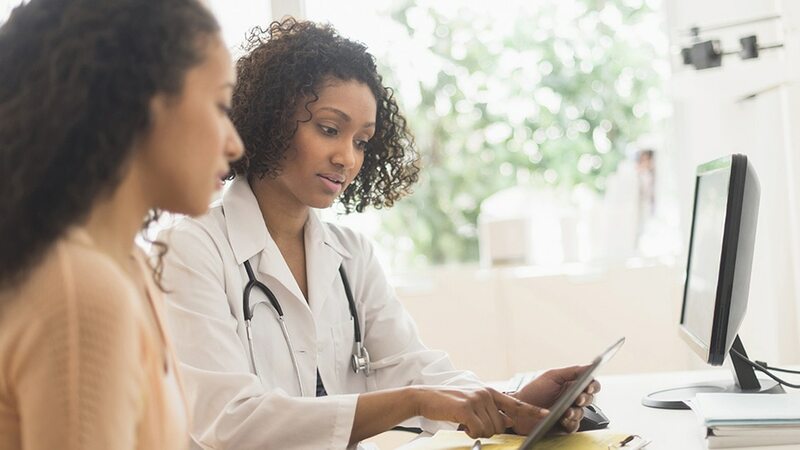 Consume and keep pace with the growing body of medical literature, guidelines, trials, articles, and patient data. 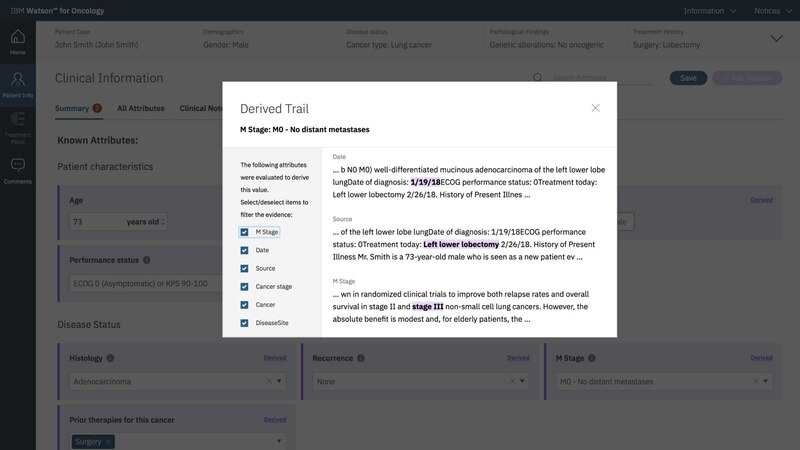 Understand the longitudinal medical record and applying natural language processing and advanced cognitive algorithms to each unique patient case. 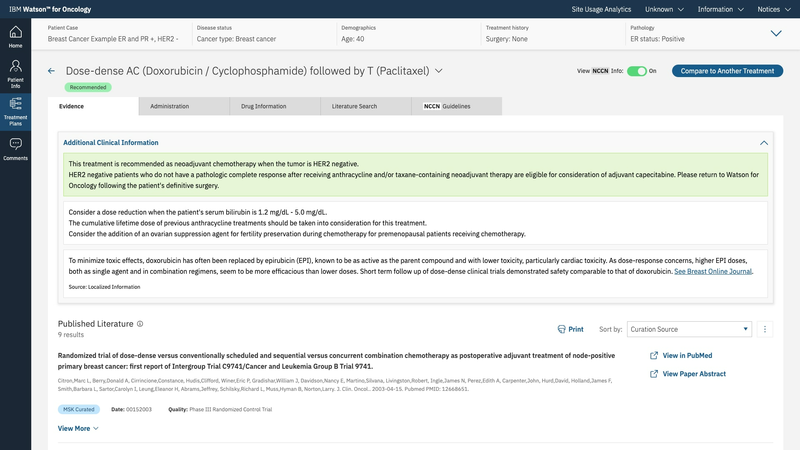 Generate a list of potential treatment options ranked by applicability—recommended, for consideration, and not recommended.